Ronstadt Revue is excited to be headlining the Bristol (RI) Fourth of July Concert Series on Saturday night, June 29, 2019! This major event will be our first appearance up in the New England area, and we are beyond stoked to be bringing the great music of Linda Ronstadt up into Red Sox country. Ronstadt Revue, a couple of cold ones, and the beach. Can there be ANYTHING better than that? We don't think so. Ronstadt Revue, a couple of cold ones, and the beach. Can there be ANYTHING better than that? We don’t think so. 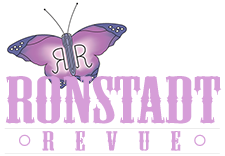 Ronstadt Revue returns to the Lizzie Rose Music Room in Tuckerton, NJ. Ticket information will be available at a later date. Call 609-389-0118 for more information.